I cannot imagine the circumstances under which I would discover that my actions had caused an earthquake. But I think if I did, my next move would probably be to stop doing whatever it was I was doing -- not to figure out a way to live with the earthquakes. Because if energy companies actually believe that fracking causes earthquakes -- and if they continue to frack -- where does it end? If a company learned that fracking was responsible for international terrorism, would they stop? If they learned that fracking caused blindness in little orphan baby girls, would they care? Great article, Anne. 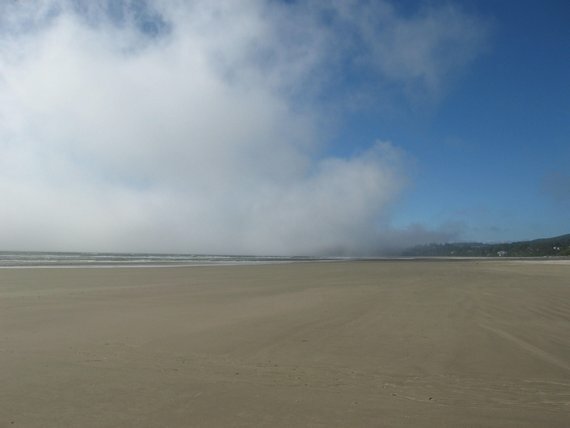 I grew up spending summers on the Oregon coast and there is something so magical about the landscape. I live in Chicago now, but Oregon often crops up in my writing.